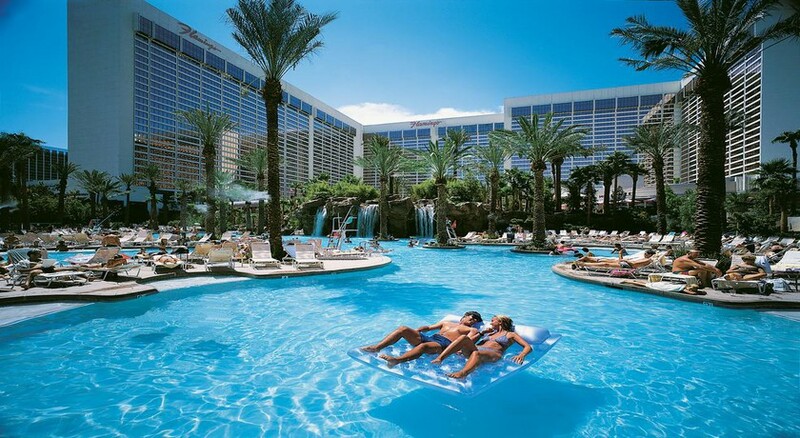 The Flamingo Hotel and Casino has everything that an adventure-seeker dreams of in a holiday. Situated in the heart of Las Vegas Boulevard, the hotel has a self-contained casino with plenty of options for all-round entertainment and sports. The hotel also boasts a tropical wildlife habitat and a 15-acre Caribbean style water playground called Go Pool, where you can indulge in all sorts of exciting watersports. The well-appointed rooms at Flamingo offer you a fabulous view of the 550-foot-tall High Roller Ferris Wheel, plus all the rooms come with a range of top-class facilities and amenities, which ensure optimal comfort and luxury for the guests of the hotel. Indulge in a mixture of Caribbean, Mexican, Asian, Italian and American fare with the fantastic range of on-site restaurants before enjoying the hotel's evening entertainment with live shows, comedy acts and brilliant Burlesque dancers. 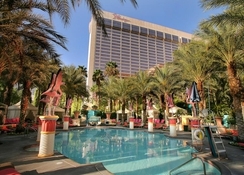 Strategically located at the heart of Las Vegas Boulevard, the Flamingo hotel is steps away from the monorail. The McCarran airport is just 4.8km away. 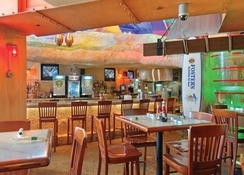 Most of the famous restaurants, casinos and shops are within the walking distance of the hotel. 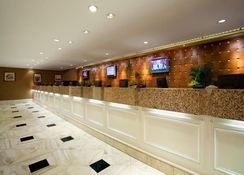 All the rooms at the Flamingo Hotel are spacious and well furnished with desks, seating areas and flat-screen TVs. The rooms also have safety deposit boxes, wood-toned floors, en-suite bathrooms and swanky furniture and some offer stunning views of the High Roller, too. 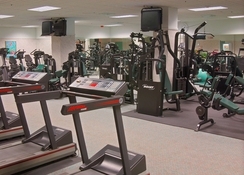 There are a total of 9 restaurants in the hotel, including quick-bite restaurants for snacks, a fabulous buffet restaurant, an upscale steakhouse and 4 excellent bar and grill restaurants for casual dining. 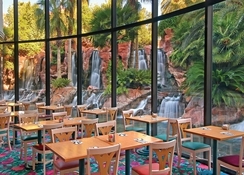 The hotel serves a wide range of international cuisines, whether you fancy Mexican cuisine at Carlos 'n Charlies or first-class steak and seafood at the Center Cut Steakhouse. The hotel’s expansive pool is a dream come true for every swimming aficionado. It has its own waterfall, water slides and a separate area for adults. 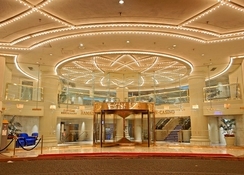 The casino offers various types of slots and table games for all-round entertainment too. Adding to the charm of the Flamingo Hotel is its connectivity with the wildlife habitat, which enables its guests to be one with nature. The location of the hotel at the heart of Las Vegas is also great for day trips and excursions to Grand Canyon and Hoover dam.